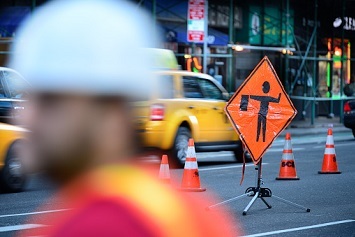 The latest trend in safety for construction workers may have been established by a New York City (NYC) law signed by Mayor Bill de Blasio in October 2017. Local Law 196 established new training requirements for employees at certain construction jobsites. The requirement—a minimum number of hours of training on specific safety subjects for workers and their supervisors—is now in effect and will become more stringent over the next year. Some of the requirements can be satisfied through two OSHA programs, called OSHA 10-Hour (OSHA 10) and OSHA 30-Hour (OSHA 30). Many OSHA standards compel employers to train their employees, but there is no requirement that this be done with OSHA 10 or OSHA 30 courses. Furthermore, Local Law 196 requires that safety-course providers be approved by New York’s Department of Buildings (DOB). 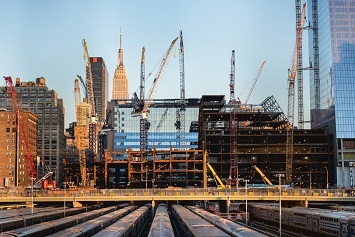 Safety in the construction sector is a major issue in New York State (NYS). The topic has been tracked by the New York Committee for Occupational Safety and Health (NYCOSH). In a January 2018 report, NYCOSH said the previous year had seen an “epidemic of construction fatalities,” mainly outside NYC. The city itself had seen a 21 percent decrease in construction fatalities over the previous 5 years. Most fatalities involved falls from high-rise construction projects. The report noted that the decrease in fatalities in the city could be attributed to a “dramatically increasing numbers of inspections” by the DOB. Conversely, in the remainder of the state, which does not have an equivalent agency, NYCOSH says fatalities were at a record high. When fully phased in, Local Law 196 will require that workers and supervisors at construction jobsites where city regulations require that a construction superintendent, site safety coordinator, or site safety manager be designated receive specified hours of safety training. Those not requiring training include delivery persons, flag persons, professional engineers, and registered architects. Also, training is not required for workers at jobsites that involve only minor alterations or the construction of new one-, two-, or three-family homes. A 100-hour training program approved by the DOB. The OSHA 10 class has been completed plus 20 hours of additional training comprising 8-hour fall protection, 8-hour site safety manager refresher, and 4-hour supported scaffold user and refresher. The OSHA 30 class has been completed. The SST Supervisor Card expires after 5 years and is renewable upon applicants showing that they have completed 16 training hours specified by the DOB in the 1-year period preceding submission of a renewal application. This training must comprise, at a minimum, 8 hours of fall protection, 4 hours of support scaffold user and refresher, 2 hours of toolbox talk, and 2 hours of pretask safety meetings. Prior experience as defined above. The SST Card expires after 5 years and is renewable upon applicants showing they have completed 4 hours of fall prevention and 4 hours of supported scaffold user and refresher. Online training that at a minimum requires the individual receiving the training to attest that he or she is the individual who received the training and that the training was received without assistance; his or her participation must be monitored at random times to ensure that the individual receiving the training is present for the entirety of the training. Applicants for DOB permits will be required to certify to the DOB that workers who will be working under the permit will have the requisite training. If the DOB discovers that workers at a construction site are untrained, it will issue a notice of violation (NOV), carrying with it a civil penalty as high as $5,000 per untrained worker, to the owner of the site, the permit holder, and the employer of the untrained worker. These civil penalties can be mitigated if an employer sponsors training for such untrained worker. If the DOB discovers that a permit holder has failed to maintain a log that demonstrated that all of the workers at a site are trained, the DOB will issue an NOV, carrying with it a civil penalty of $2,500. The DOB adds that it intends to conduct unannounced inspections at sites where untrained workers have been discovered. Accredited by an accrediting organization recognized by the U.S. Department of Education or the Council for Higher Education. The course provider must maintain a record of all issued Temporary SST Cards, Limited SST Cards, SST Cards, or Supervisor SST Cards for a minimum of 7 years. The course provider must maintain a secure online verification system containing an up-to-date list of the name of the card holder, the unique ID card number, and the issuance and expiration date of the card. Such verification must be available to the city, including the DOB, and contractors to enable readily accessible confirmation of the names of card holders who have completed training through the particular course provider.